From our already published Mobile trends report,Nigerians are spending more time on their smartphones daily compared to other devices, and also we are the most mobilized country in the world (76%) ahead of India and South Africa. In Spite of the Economic recession, there is a serious need for marketing; smart marketing. Research shows that an increase in advertising spend will result to an increase in revenue (Advertising in recession- the benefits of investing for the long term, 1999) and also a place in the market even after the recession. 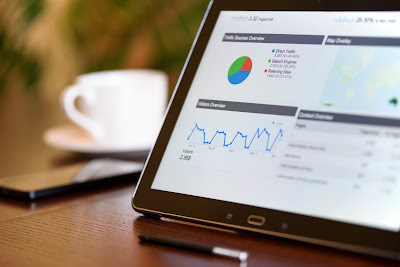 With the right data, ads will be served to the right audience and as such, cause engagement and a connection to the content. Brands are focusing more on performance-based advertising and with personalization in context, a more tailored and personalized ad will boost overall performance. Performance campaigns include; Surveys, app downloads, sign ups, subscriptions, Lead generation, ticket and product purchase. Convergence of advertising content (native and videos). Convergence of media channel (Programmatic and ad exchange). Convergence of marketing software (Adtech). Data (DMP- 1st, 2nd and 3rd party data). All these aggregated data brings us to the “DMP” (Data management Platform). The DMP aggregates all forms of data (1st, 2nd and 3rd party) from activities online, offline, CRM: profiles, Emails via registration. This data is very useful and together helps achieve the above listed promise of data to Brands, Agencies and E-commerce. Customer relationship management (CRM) and Adtech are coming together to create a true omnichannel view of customers. Take ownership of your data at every level and let your mobile marketing be data-driven! Brings the power of Twinpine’s DSP to enable programmatic advertising on presently unused MNO channels as MNOs become publishers choice due to over 60% of users in Africa still not online. 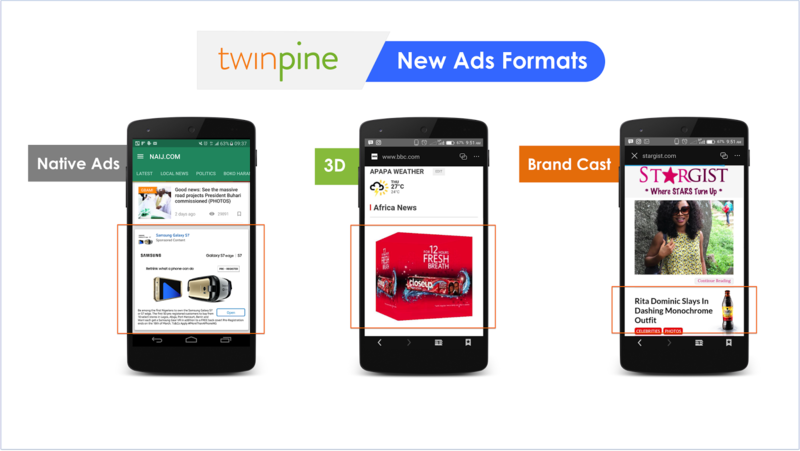 Through one platform (Adrenaline), advertisers and agencies can target users on web and off web with great precision. Pilot shows convertion rates of 4.9%. Due to the general lack of data in Africa especially about mobile, Twinpine has created a platform that aggregates relevant data on how people use the internet via their mobile devices in Africa. This data gathered cuts across Shopping insights, market insights and consumer insights. 500MB data> 1.8 TB/hour and 50TB/ daily. We run an open RTB 2.3 at Twinpine, we also bid in Naira. Our optimization techniques include: Frequency capping, Moments ranking and ML Algorithm. Exclusive sources - Web/mobile interactions, MNOs data, retail data and demography. DMP (data management platform) + DSP (demand side platform) = Unique Audience.